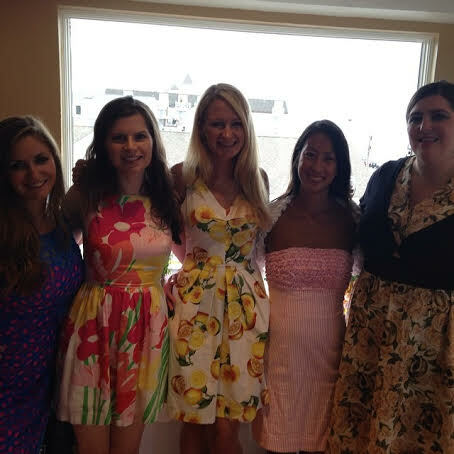 My best friend’s wedding in Hull, MA! – Saturday, August 2nd, 2014. 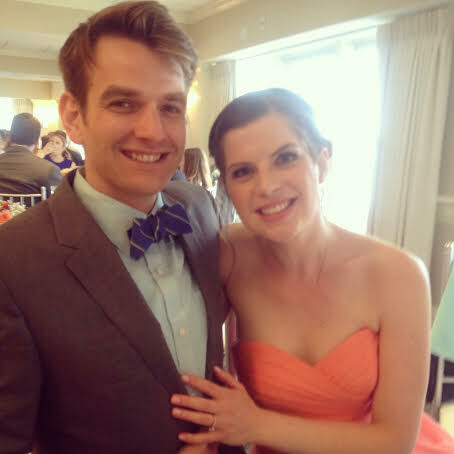 I met Liz when she moved to our hometown right before the start of the third grade. We quickly became friends in elementary school and have remained in touch ever since. I’m so lucky to have Liz as my friend. She is very patient, smart, thoughtful, and funny. We have shared many good times together growing up and I was so happy to be a part of her wedding day. Liz’s wedding weekend started off with a bridal party nail salon visit for manis and pedis on Friday. 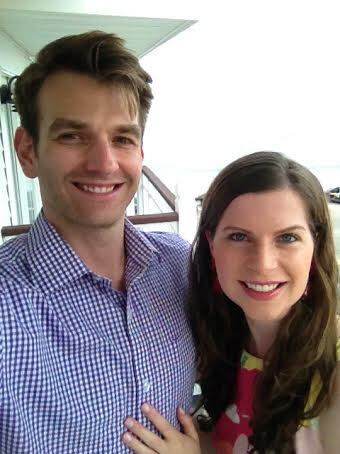 We freshened up after that, and headed to The Red Parrot for the rehearsal dinner. There were heartfelt speeches and a night of karaoke that followed. Here’s a picture of the bridesmaids, bride (the blonde in the Banana Republic Lemons Dress), and officiant at the rehearsal. The next day, the girls got together for our day of primping to get our hair and makeup done. Liz made a beautiful bride. 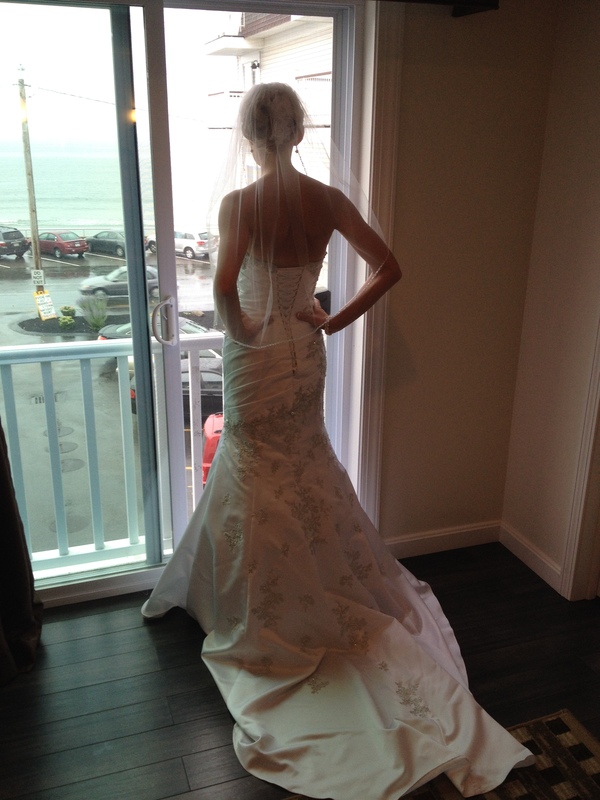 The reception was held at The Nantasket Beach Resort. I was so nervous for my Maid of Honor speech, but other than my shaky hands, everything went well. 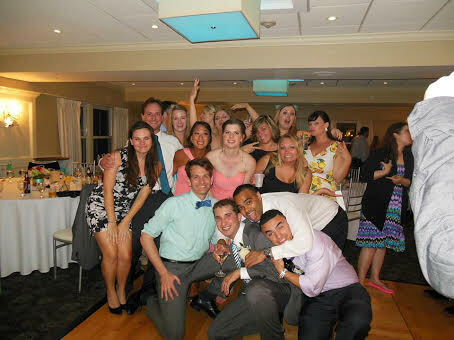 Partying with the groom Dave. He’s in the grey suit in the very front middle. 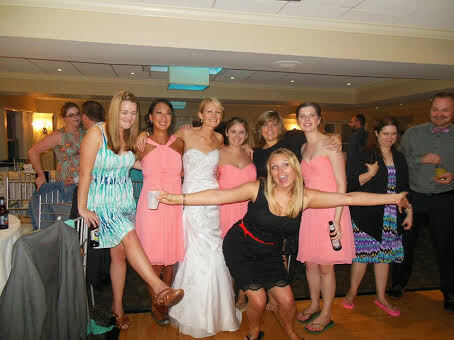 The bride partying with us. I had a blast at their wedding and feel so honored to have been part of their wedding day. Liz & Dave are both such great people individually and as a couple together. Congrats to the wonderful bride and groom!